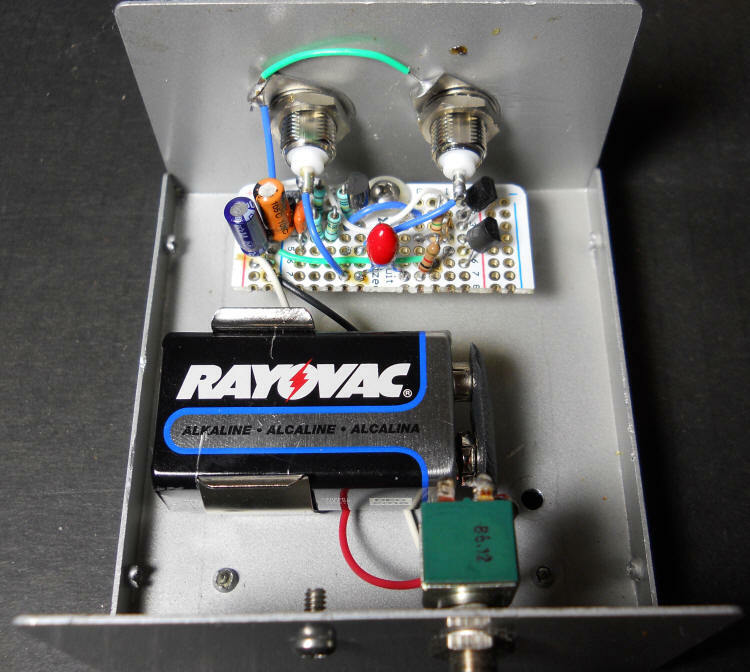 This simple audio preamplifier uses a current diode for an MPSA18's collector load to achieve over 60 dB of gain in one stage for audio frequency. 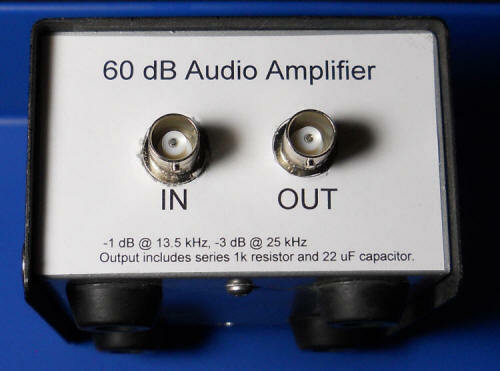 The gain is adjusted to precisely 60 dB (1000) by adding a little emitter resistance, 147 ohms in this case. The input impedance is estimated to be about 150k and the output resistance is about 1k, although the preamp is intended to drive higher resistance loads. (A 1k load will drop the gain to 54 dB.) That 1k in series with the output could be lowered if desired. The output buffer is a self-biasing bipolar/JFET pair that draws about 1 mA. The current is kept low for long battery life and a battery should be able to run the circuit for a week or two of continuous duty. The input-referred noise voltage is probably about 2 nV/root-Hz at 1 kHz. No LED was added since it would draw significantly more than the circuit. A molded power supply could also be used for continuous duty applications. at a little over 6 kHz.. The current diode could be replaced with a JFET. Connect the drain of a JFET, say a 2N5486, to plus, the gate through a current meter to ground, and connect a selected resistor from the source to gate. The resistor is selected to give a current of about 1/2 mA for this circuit. The drain and gate become the diode terminals. The output stage is a very low current version of one of my favorites. The bipolar transistor holds the source-gate voltage at about 0.6 volts biasing the JFET well below Idss. 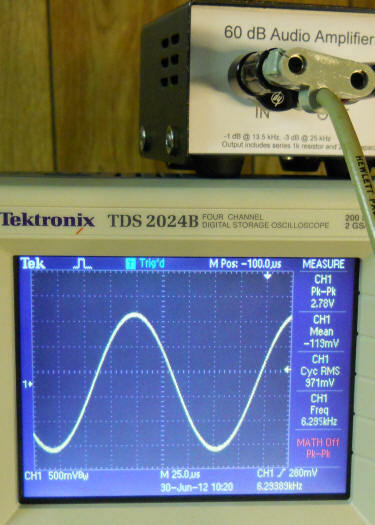 In this case, the resulting bias current is about 1 mA. Other JFETs will give different current. The pair provide a nice low-impedance output with plenty of swing. Using an NPN and P-channel combo results in a pair that can provide lots of current (from the NPN) and pull all the way to ground. Switching to a PNP on bottom and an N-channel on top gives a circuit that can pull all the way to the rail.